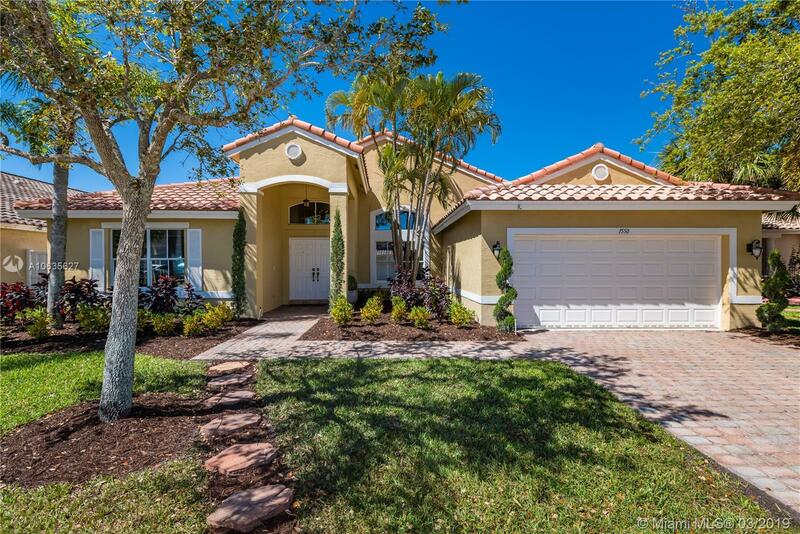 1550 SW 191st Ter, Pembroke Pines, FL.| MLS# A10635627 | Susan J Penn l Best Agent l Buy & Sell South Florida Homes! Picture-Perfect Turn-Key Pool Home! Spacious, flowing floor plan with 4 beds, 3 baths & bonus room that can serve as a gym, office, playroom or guest room. There is also a handy computer area. The split bedrooms offer privacy. Abundance of light from the many windows & soaring ceilings. Big & bright master retreat. Enjoy entertaining in the private, lush backyard with sparkling pool & covered patio! Over $30k in recent upgrades including fresh paint inside & out, new lighting, closet, & HVAC. New landscaping adds to the curb appeal. Community offers a tranquil lifestyle with nature preserves & gated entry. Low HOA dues include TONS of amenities: 24 hour security, resort style pool, tennis, B-Ball, tot lot, gym & clubhouse (being renovated now!) Excellent schools too! MUST SEE the 3D Tour!